He bought his first boat in 1960 from Thomas Clayton and with his brother converted it to a cabin cruiser. He was a pioneer at the time when canal boating was becoming popular and worked on canal restoration project working with David Hutchings. With his two brothers Terry founded the Brummagen Boats company initially involved in running a trip boat on the Worcester and Birmingham and Birmingham Canal navigations before expanding into holiday hire cruisers and ultimately building boats for their own fleet and for sale to private individuals and other hire fleet operators. 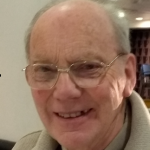 Terry moved to Reading in 1962 to work at Ampex Electronics, where he developed an interest in television engineering and studied for his HNC in electronics. In 1965 he returned to Birmingham where he joined ATV as a vision control engineer. In 1979 Terry formed his own company, Second City Broadcast facilities which provided technical facilities and services to the BBC and ATV in Birmingham as well as many independent producers of TV programmes in the Midlands. Terry is an active member of the Royal Television Society; his main role was arranging technical lectures for the society. 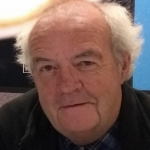 Terry was chairman of the midlands centre for over four years and was awarded the Society’s Baird medal in recognition of an outstanding contribution to television in the Midlands. 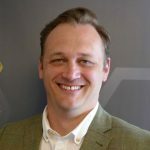 Hugh trained as an aircraft engineer (apprentice with De Havilland) and worked for British Aerospace for 10 years before leaving to study for his Masters Degree in Production Management at Birmingham University. He joined the Birmingham based Delta Group in 1974 as an advisor on production and management techniques. 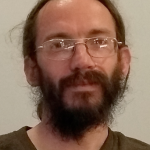 Hugh was fortunate in working with and building a team of talented engineers to develop and sell computer software for design and manufacture of complex parts. The company became employee owned in 1989 and was commercially successful. The success was recognised by seven Queen’s awards for export and innovation and Hugh was awarded an OBE in 1994. 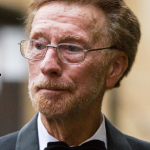 Hugh retired as Managing Director in 2009 and was appointed Deputy Chairman where he continued to manage sales of software in Russia and Ukraine, he worked closely with many universities and was made an honorary professor of seven Universities. Hugh is a boat owner moored at Gas Street and first learnt about the Lapal Trust and the potential for restoration in 2012. He became an enthusiastic supporter. Tony has retired from a career in Chemistry in the Universities of Oxford, Cambridge and Strathclyde. He has managed many European and other Research projects and served as Editor-in-Chief to International Journals. Served on University Senate and University Court (the body responsible for financial matters) and many Committees. President of the University Staff Club. 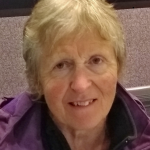 Has served as Treasurer in Bridge Clubs and currently is Secretary of Edgbaston Croquet Club. 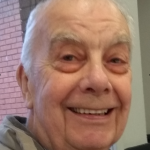 Tony was born in Selly Oak and lived for 10 years in a house backing on to the Lapalcanal in Selly Oak in the 1940’s when the canal was still in water. A member of the Lapal Canal Trust for many years, on return to living in Birmingham has been more closely involved with the Trust as Treasurer and Secretary. While initially studying electronic and software engineering, on graduating Peter worked for a civil engineering company drawing up drainage surveys and quoting for repairs required. He then returned to the University to study for his Phd with research into use of hydrogen and fuel cells. as an assistant instructor with the k2o children’s club. 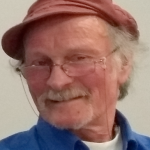 Peter became interested in canal boats and fitted out his own boat where he has lived since 2005, he is a keen practising environmentalist and relies on a large array of Solar Panels to provide power for his boat, hence his nickname “Solar Pete”. Peter has set up and manages a company manufacturing pod boats to provide extra storage for residential boats. 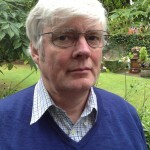 John lives in Alvechurch and has a Certificate in Education Batchelor of Education degree. He had leadership responsibilities in Education and large Birmingham based Trade Union. 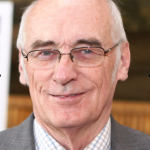 John served on several committees including two as Chairman and believes passionately in equal opportunities for all. He is a practised public speaker and has spoken on both radio and television on a variety of topics. John is keenly interested in being involved with community projects and enjoys working as part of a team at all levels. 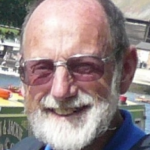 He is a long-standing member of both WBDCS and LCT, and helps to run WBDCS boat “Cecila”.John is He is editor of the monthly WNDCS 58 magazine. John is always willing to help and manage activities and is a very active participant on local waterways related festivals. And with many work parties including working on the Lapal Canal as well as the Lime Kilns in Tardebigge . He has been involved with canals for over 30 years. He was an active participant in the restoration of the Droitwich Canals Restoration in 1985 when he moved to Droitwich. After some time out while his children wereyoung he again become practically involved and helps work parties every Saturday. He became Volunteer Co-ordinator, leading teams of both local volunteers and community payback offenders. He has been a director of the Droitwich Canals Trust for 17 years, and one of the major partners in the Restoration Partnership which was finally responsible in achieving a successful return to full navigation in 2011. 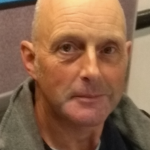 He is now a Programme Secretary for the Worcester-Birmingham and Droitwich Canals Society canal society arranging speakers for the monthly meetings. 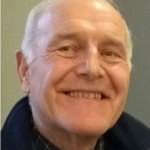 David served an engineering apprenticeship at the National Physical Laboratory, Teddington; and qualified with a degree and Certificate in Education, he then taught engineering subjects as a lecturer at a southern technical college. Now retired, he is still involved with the navigation authorities Boat Safety Scheme, part time, and lives at Stourport on Severn. After a life-time active interest in boats and waterways of all sorts both at home and abroad, he is now Chairman of the local branch of the Inland Waterways Association, a campaigning body which encourages restoration and good maintenance of both rivers and canals, and also serves on their Navigation Committee. He established the standard for Winding hole design. His support for the present project at Lapal is largely because it is eminently ‘do-able’, and also because it is in an area touching on old Worcestershire, adding to the tourism as well as local amenity possibilities for this wonderful area and county to the SW of Birmingham. Member of St Mary Abby Trust Halesowen and active with Leasowes Restoration of the Lapal Canal. Mary’s career has been in further education, first as a teacher over the whole range of vocational areas, then as a manager, spending the last fifteen years as a Vice Principal in inner-city Birmingham. Her roles included strategic planning, curriculum and staff development and securing funding for the college. She also wrote a weekly newsletter for the Association of Colleges which updated all colleges on the latest government initiatives. Since retiring she has been able to pursue her other interests, which include the environment. She grew up on a farm and has had a lifelong interest in wildlife, especially in the conservation of native habitats where wildlife of all kinds can flourish alongside human activity. She writes about wildlife for local magazines, gives talks on the subject and leads walks. 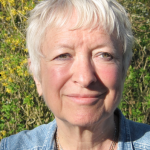 Having lived by the Worcester-Birmingham canal for the last thirty years, she has a special interest in canals as wildlife corridors, and how canals can serve the interests of different community groups and enhance the environment. She is secretary of the Worcester-Birmingham and Droitwich Canal Society, of which she is a Trustee, and a member of Worcestershire Wildlife Trust, Woodland Trust and RSPB. 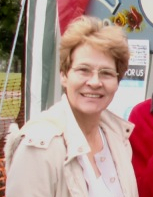 She is also secretary and Trustee to the Alvechurch Community Choir, coordinator of the Withybed Poets and has served on Alvechurch Parish Council. Simon is a postgraduate with 20 years of Marketing and IT experience. Working with companies such as BMW Group and Saint-Gobain, until he started his own Marketing Consultancy in 2007. 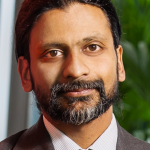 Since then he has gone on to develop specialist skills in Digital Communications and has been selected to front a Microsoft Small Business Marketing campaign, had several articles published in leading industry magazines and regularly lectures on his specialist subjects. Simon loves going out on boat trips around the Birmingham region with his family and has been passionate about seeing the Lapal canal restored ever since he was a child playing in the Leasowes park.